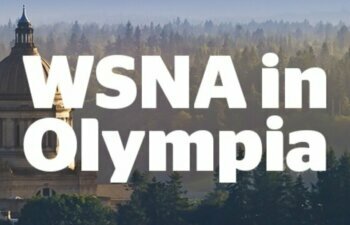 WSNA’s 2017 Legislative Priorities and issue-based one-pagers can be found here. The legislature adjourned Sine Die yesterday, April 23, the last day of the 2017 regular session. As expected, the legislature adjourned without passing a 2017-19 budget. The Governor called the legislature back into a 30-day special session beginning today, April 24. We are still hearing that a final budget is unlikely until after the June 20 revenue forecast, meaning that there will very likely be multiple special sessions this Spring. Public Health Funding – WSNA is continuing to work with partners to advocate for the $40 million in new public health funding included in the House budget. Health Profession Loan Repayment – The House budget provided maintenance level funding. The Senate budget cut $3 million from the program. 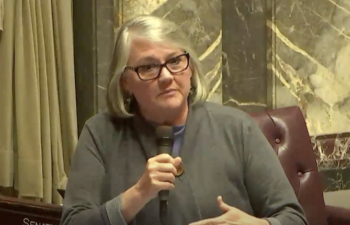 The bill that adds health profession advance degree programs (with “service obligation”) to the Washington State Opportunity Scholarship, HB 2143, was passed out of the Senate Ways & Means Committee on April 20, and was reintroduced in present status for the first special session. The Staffing bill, HB 1714, was delivered to the Governor on April 23. The Governor has 20 days (not including Sundays) to sign the bill into law. A full summary of the Staffing bill can be found on WSNA’s website. The bill as passed the legislature can be found here. The School Nurse Supervision bill, HB 1346, was signed into law by the Governor on April 20, with WSNA and SNOW members in attendance. The new law takes effect in 90 days. Using HB 2114 as passed the House as the base, the Office of the Insurance Commissioner, legislators and stakeholders are continuing to work on this bill’s content to see if an agreement is reachable. Rest breaks remains a top priority for WSNA, and this year the rest breaks bill moved further through the legislative process than it has before. HB 1715 passed the House 55-42, and had a lively hearing in the Senate Commerce, Labor & Sports Committee. The bill and hearing both received extensive coverage in The Seattle Times – you can view the article here. While a strong coalition of partners worked hard on the Secure Medicine Return bill, HB 1047, this year, it ultimately was not brought to the House floor for a vote. A number of local Boards of Health have passed local legislation creating secure medicine return programs – King County’s being the first in Washington state to be passed and implemented. *While all bills that died during regular session were reintroduced and retained in current status for the special session, we do not expect the legislature to take up bills marked dead during the special session. HB 1432 defined core public health services and put into statute the Foundational Public Health Services framework – these bills also set in statute a structure for Shared Services which would formalize smaller health departments contracting of some services (such as epidemiology) from larger health departments, making the system more effective and efficient. The bill passed the House 86-12, and was passed out of the Senate Health Care Committee with a “do pass” recommendation, but was never voted out of Senate Ways & Means. While a number of paid family leave bills were introduced during the regular session, none of these bills made it through the process – stalling in committee. However, this is one of the issues that legislators may continue to negotiate during the special session. Legislators are reportedly working toward a compromise that would land somewhere between HB 1116, which offered up to 26 weeks paid family or parental leave starting in 2019, and SB 5194, which offered up to eight weeks paid leave starting in 2020 and up to 12 weeks starting in 2023. SB 5022, the Washington Student Loan Transparency Act, was request legislation from Washington’s Attorney General. It was signed into law by the Governor on April 27. This bill says that, subject to appropriations, student borrowers are entitled to receive notification about their loans from their post secondary institution each time a new financial aid package is certified that includes student loans – this means that students will receive information on the total amount of educational loans, the range of payoff amounts including principal and interest, and additional details. This will begin on July 1, 2018. Additionally, annual compliance reports to the legislature are required in 2019-2025. HB 1169, included provisions to establish a student loan debt hotline/website, and required institutions touching the student loan process to notify students of these resources; it repealed provisions allowing suspension of a professional license due to student loan debt (including for nurses); and other consumer protections. This bill passed the House 76-22, and received a “do pass” recommendation from the Senate Higher Education Committee, but was never voted out of Senate Ways & Means. On Dec. 22, 2016 the Washington Supreme Court issued a 6-3 decision in Volk v. DeMeerleer that will have profound and detrimental impacts on health care providers and patients. The decision is a troubling departure from the standard for “duty to warn” previously established in Washington and nationally. The Court held that, in the outpatient context, the duty of health care providers to warn potential victims of violence extends to all individuals who may “foreseeably” be endangered by a patient who has made a threat, even if no specific target was identified. This leaves providers with unprecedented responsibility to interpret who to warn. SB 5800 was introduced in the Senate as a “fix” to Volk. It was voted out of the Senate 33-16, but died in the House Judiciary Committee. 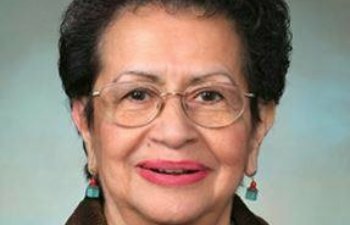 When this bill died, a new study approach was created, and included organizations that would be part of a study group which would provide a report to the legislature by December 1, 2017. AAPPN will be able to participate in the study process should this move forward.